The best-dressed men care about how they look and know how to incorporate footwear into their fashion. You may think nobody’s looking at your feet, but the right dress shoes help create a cohesive get-up that’s bound to impress. To achieve this cohesion, pay close attention to color. 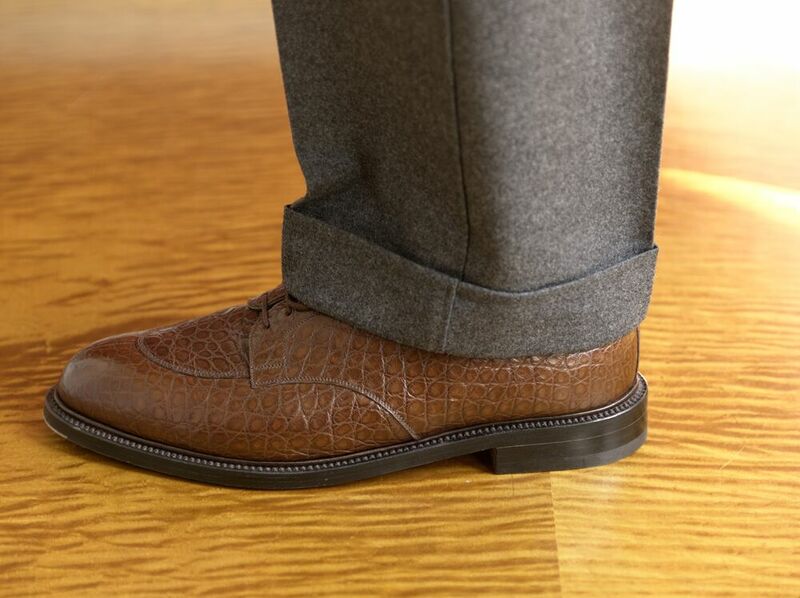 Your footwear must complement your suit—simply put, it needs to look good. While appropriate for a number of occasions—business meetings, weddings, and formal events—black suits are not versatile when it comes to shoe pairings. Be sure to wear black dress shoes whenever you slip on a black suit. A slightly darker shade, charcoal suits may lend themselves more to black shoes than lighter and medium gray suits. However, brown suede still works best for most events—excluding black-tie optional. Navy suits are the most versatile of the classic suit colors. That being said, cordovan and brown shoes normally create the ideal look. For more formal business events, black shoes are a safe bet. But for day-to-day attire, brown suede, leather, and cordovan provide the best look. French blue suits are more of a medium blue color. They seem to be the flavor of the season. For these, you want shoes that are a little lighter. Brown suede works with French blue, but try to avoid cordovan. A pair of British tan shoes—a more golden shade of brown—complements French blue very well, too. The most crucial advice to remember with brown suits is to never pair with black shoes. Also, avoid brown shoes that look too similar to your suit’s color. Contrast is important—you want enough to blend your outfit together. Perhaps the most versatile shoes, brown suede or the aforementioned British tan provide the ideal balance for brown suits. As an important rule, your belt should always match your shoes—100% the color and as close to the material as possible. The main goal of dressing up is to look nice. 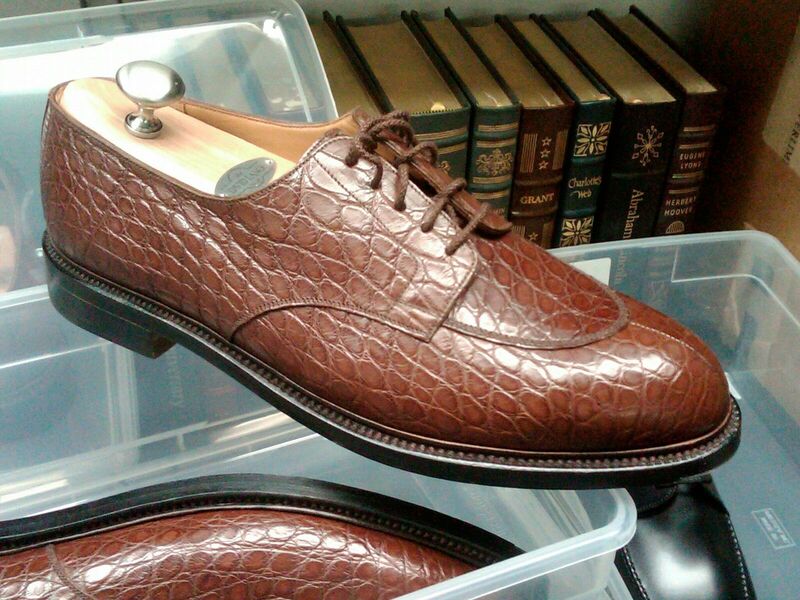 Of course, you want your suit to draw all the compliments, but don’t neglect your footwear. Shoes are the single biggest signal that your look matters to you. Without the proper color, material, and upkeep, your shoes can paint the picture that you don’t care—or know—about style.